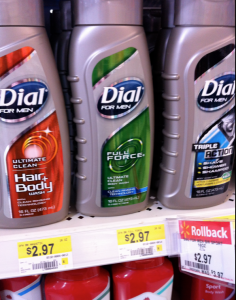 The Frugal Family Life: $2/1 Dial Body Wash Coupon = $.97 at Walmart!! Here’s another one you’ll want to be sure to print! There’s a new $2/1 Dial Body Wash coupon (6 oz+) and these are only $2.97 right now at Walmart. That means only $.97 after coupon! !